A wedding is an exciting and romantic act for relatives and friends. Therefore it is very important to find the right location for the unique celebration. 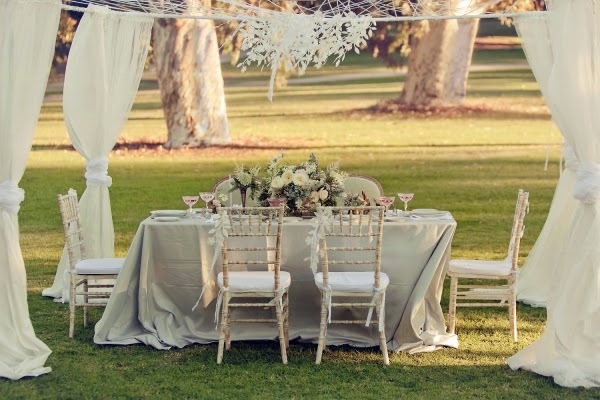 If you need some tips for your outdoor wedding, here are some important notes to keep in mind. In some cases - even by positive thinking - you should be aware of the weather condition. The greatest fear of any couple having an outdoor wedding is strong wind, rain or wet and cold weather. Just because you're having a spring or summer wedding doesn't guarantee that the weather will be seasonable for that specific wedding day. Being optimistic about weather and location is great, but preparing for the worst is very important. If the weather is hot, offer your guests ice-cold bottles of water before they have a seat. Additionally, you might want to consider the following for your warm weather outdoor wedding reception. Even if the weather report is for clear and sunny weather, you cannot be sure until just days (or even hours) before your wedding day. Check out the online weather forecast for your geographic location. During the ongoing wedding ceremony make your guests comfortable. Please do not consider plastic tables and chairs, or either glass tables. Give your wedding a natural touch. Natural furniture, such made from bamboo or rattan, are more suitable for a outside wedding than other. Make a plan for windy days. 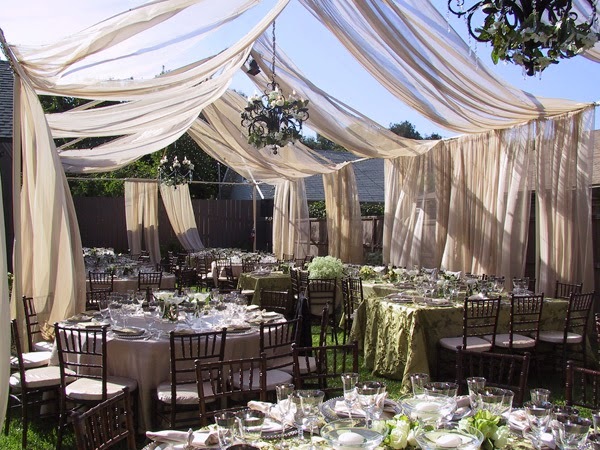 Very often outdoor weddings are suffering from windy conditions. 3. Decorations One of the bonuses of a fantastic outdoor celebration is the natural beauty around you. 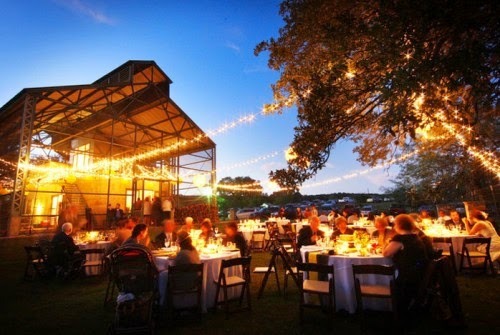 Make things tasty outside: Choose an experience outdoor catering service, who is able to prepare a amazing wedding menu? If you can't find one, ask your friends for help: Serve a tender steak or fish direct form a BBQ your guests. By preparing food and serving drinks make sure that food will keep well outdoors in the heat. Consider the timing for your outdoor wedding. When the sun is shining, consider to have your wedding celebration in the morning or late afternoon. At that time the sun is not to hot and more comfortable for you and your guests. The ideal outdoor wedding location has an indoor location waiting just in case. Mostly decided outdoor wedding locations are parent or relative's backyard. 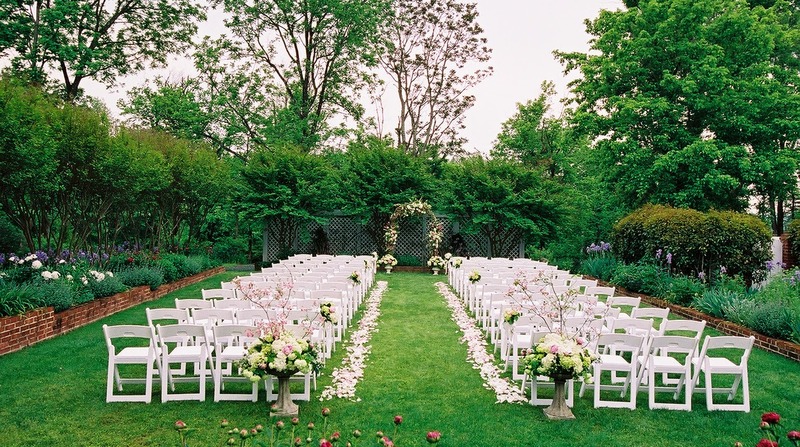 If you do not have the chance of using private backyards for your wedding, you can also choose local nature preserves Lake Areas, Parks, Botany gardens, Country clubs or golf courses, Gardens at historical castles or any nice beach. Extra ordinary places: On a horse, motorbike or boat. Just have fun and enjoy it. Please keep it in your mind, that you might need a permit from council or city parks department to celebrate your wedding in nature. You might need a permit for public places. Outdoor weddings are scenic and romantic, but many thinks can go wrong. 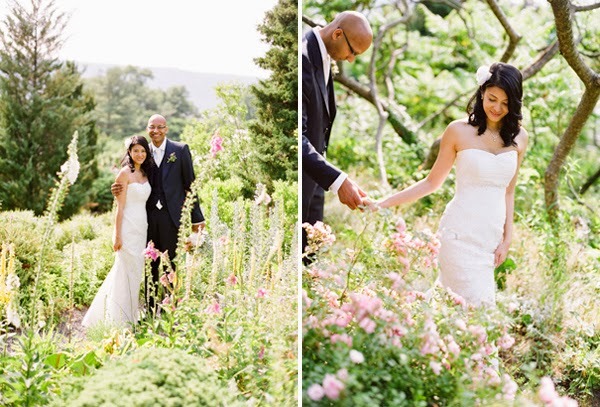 Having a "green" wedding can be very romantic and fun, too. Many points should be considered for an outdoor wedding. Make your wedding plan for your ceremony and party with some help from others. 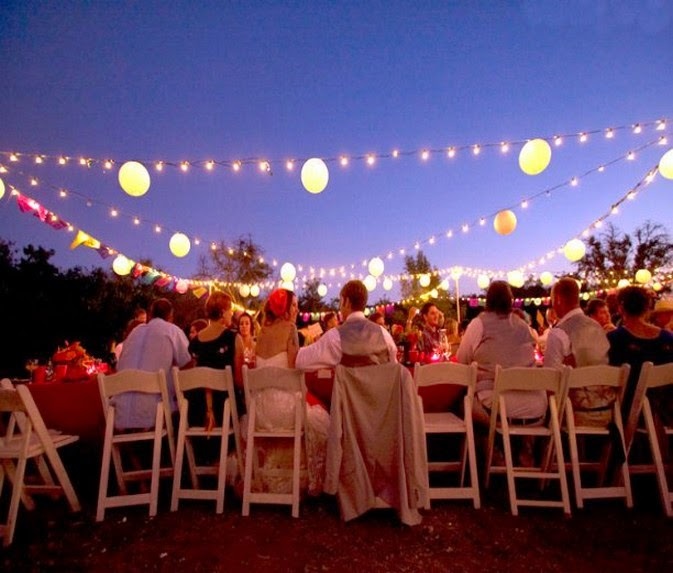 Collect your thought for your outdoor wedding ideas in your region and make a plan. This is only a few ideas of many options that are available to you.